In Ancient Greece, Eratosthenes was probably the first person who used the shadow of the sun to measure the circumference of the Earth as well as prove that the Earth was round. There were theories floating until that time, but many people believed that the Earth was flat. However, with growing scepticism and overwhelming proof, the flat earth theory was discarded. And in the 20th century, human beings went to space and brought photographs of our home sphere. Any doubt in mind would have surely been expelled by now. Or so we would like to believe! There are several new celebrities rising up who have started to believe in the Flat Earth Theory. Many of their beliefs coincide with the Flat Earth Society, followers of this theory. Last week, we were convinced that the controversial personality, Logan Paul joined the list of these celebrities which also includes rapper B.o.B. 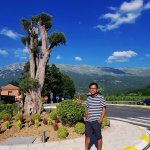 The 23-year-old YouTuber mentioned that he was on a quest to find out that the Earth is flat by trekking across Antarctica and reaching the supposed ‘Edge of the World’. After all, Logan Paul talked to Robbie Davidson who is the founder of the Flat Earth International Conference. He was also in the process of developing a documentary on YouTube, ‘The Flat Earth: To the Edge and Back’. He even attended the Flat Earth International Conference. A spokesperson from the Flat Earth Society was confident that Logan Paul was a supporter of the Flat Earth Movement. In the trailer of this documentary, Logan Paul mentions that he is coming out of his Flat Earth closet. According to him, he wants to explore the theories and find out the facts behind all of it. He believes that we have not been to our satellite or the moon for over fifty years as well as the ‘fact’ that the moon shines with its very own light should be proven. The trailer does not specify or categorise Logan Paul as a flat earther since it gets cut at that point. And that should have been our cue. The YouTuber designed the trailer and created the hype around it brilliantly. During the ‘promotion’ of his documentary, he mentioned how many of the world-renowned scientists have not been able to explain the theory of gravity. This includes Bill Nye and Neil deGrasse Tyson. Paul doubts whether they actually know anything about it. He was not someone who wanted to follow the herd and start stigmatizing and mocking the flat earth society. Rather, his journey would be purely a journey of knowledge, of not being ignorant. The ruse was mind-blowing. The bait was set. According to the YouGov poll with 8,215 adults in the United States, it was found that about 84 percent of the people believed that our Earth was round. However, the number falls down sharply when it comes to the generation of millennials. The same poll found out that only about 66 percent of young 18-24-year-olds believe that the earth is a sphere. It wouldn’t have been far-fetched to believe that Logan Paul can be one of them. But now the documentary has come out and it turns out to be a parody. It starts with Paul’s friend claiming that he believes the Earth to be flat. When Paul laughs it off, his friend goes on a smashes the globes in Paul’s house. He even uses a balloon globe to prove his theory (disregarding gravity). This spurred Logan Paul to go on a journey to find out more about the flat earth, which including attending the Flat Earth Conference. You can see the underlying comedy in the video. But the final part of the video is enough to prove the parody. 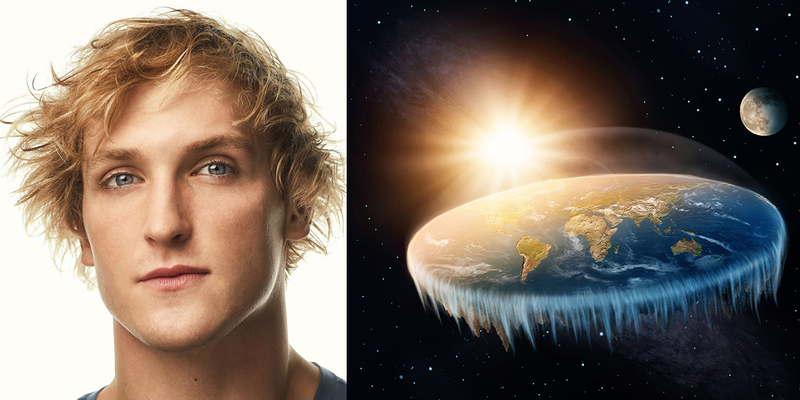 When interviewed, Logan Paul says that he does not believe that the Earth is flat. Rather, he’s not even sure whether there is an Earth or not. And then, he goes for a rap about his No Earth Theory. The Flat Earth Society has not been in contact with Logan Paul after the documentary and they do not wish to offer him any kind of membership. It was an ultimate troll. However, people in Twitter is already praising him for it and loves the ‘documentary’. It may be one of the best parodies on YouTube right now.
? A Blind Orangutan Mother Was Found With 74 Air Gun Pellets In Her Body At A Palm Oil Plantation Dogs Will Lie to Get What They Want, Say Scientists ?